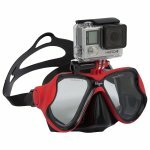 The GOSEA GoPro* Black Dive Mask by FX Divers is a high performance, well designed diving mask that offers a unique diving experience to underwater enthusiasts allowing you to shoot underwater video using your GoPro* device. 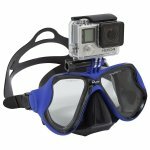 Designed to mount all GoPro* models including GoPro* HERO2, HERO3, HERO3+ , HERO4, HERO5. 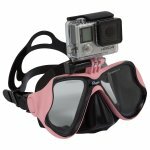 Low volume dual lens design allows for clear vision while underwater and the super soft silicone skirt provides an optimal fit that includes swiveling buckles on each side for easy adjustments. making it perfect for all adult faces. The high quality rubber oil coating plastic provides a matte finish on the single solid one piece frame. 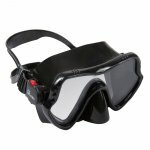 The flexible camera mount allows for adjustment forward and backwards to ensure your field of view is being captured based on how your mask is fitted. For first use we suggest mounting your camera to the mask and shooting video prior to diving to find the sweet spot for underwater. For battery replacement it is not necessary to remove the device from the mount, simply unlatch the device back, remove and replace the battery as normal. 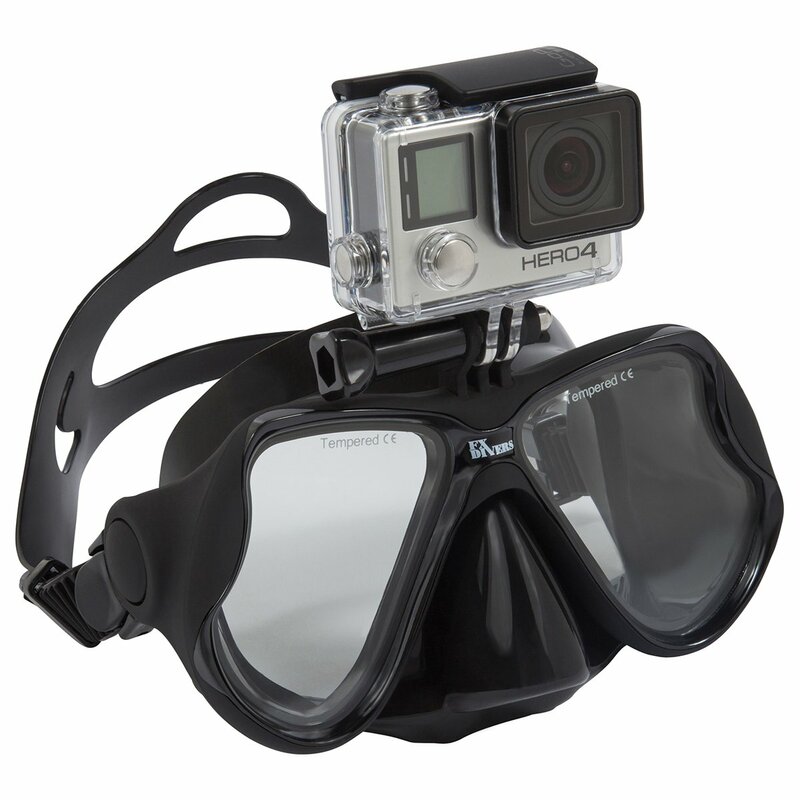 *GOPRO is a registered trademarks of Woodman Labs, Inc. in the United States and other countries. 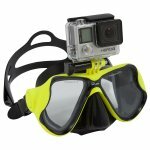 **Price does not include camera, housing or any other accessories depicted in the pictures in this listing.